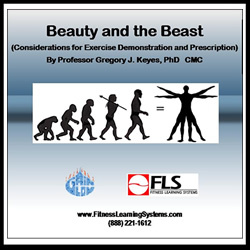 Exercise demonstration and prescription is a topic that every health-fitness professional needs to constantly consider. Demonstration and prescription are often neglected due to experience and complacency. This could result in inadvertent poor example/demonstration techniques, and less than optimal planned prescription. These morsels of tips, hints and in some cases in your face frank observations are shared to ensure your professionalism remains top of your game. The intent is to help ensure your example of leadership and demonstration is a showcase for other health-fitness professionals to emulate. Learn the 5 P’s for Principles of Exercise Design.